The last post took place over the first two days of a nine day trip. 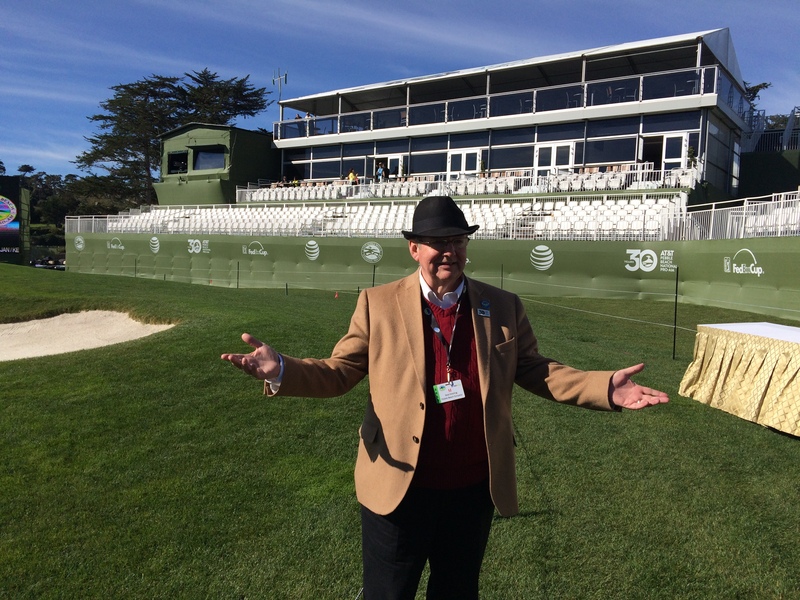 Those days were a great intro to the Pebble Beach tournament and some of the more impressive behind-the-scenes activities that go on in tandem with the actual four-day tourney. 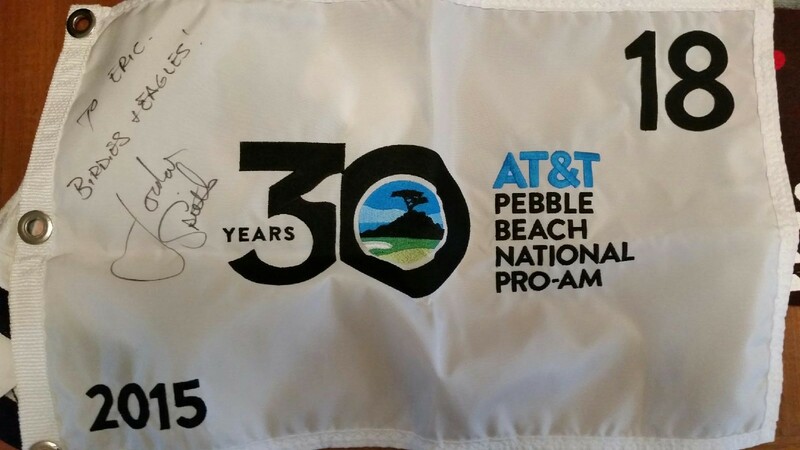 The next morning we were invited to the Pebble Beach Golf Academy, which is essentially the main driving range for Pebble Beach with a golf teaching school attached, and were able to individually work with four of the instructors there. This was an amazing experience as these guys have been around it all and are on the top of their respective games. 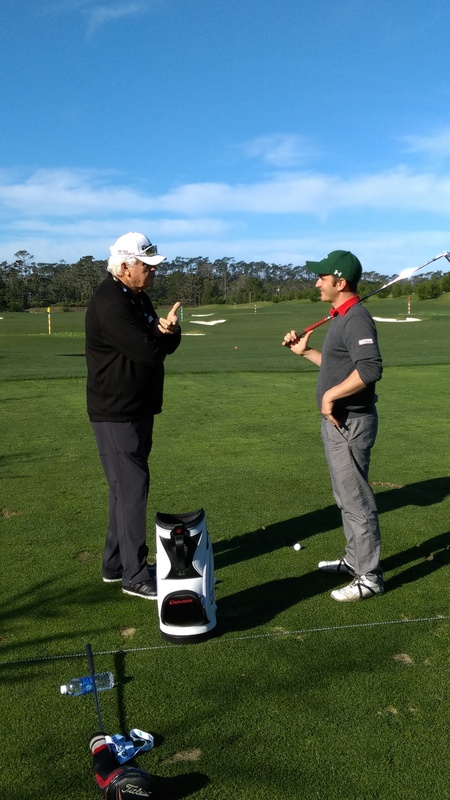 It was two-fold inspiring: I had hands on work with instructors that have helped countless PGA Tour players and at the same time there were a number of big name players on the range working on their own swings in preparation for the week. 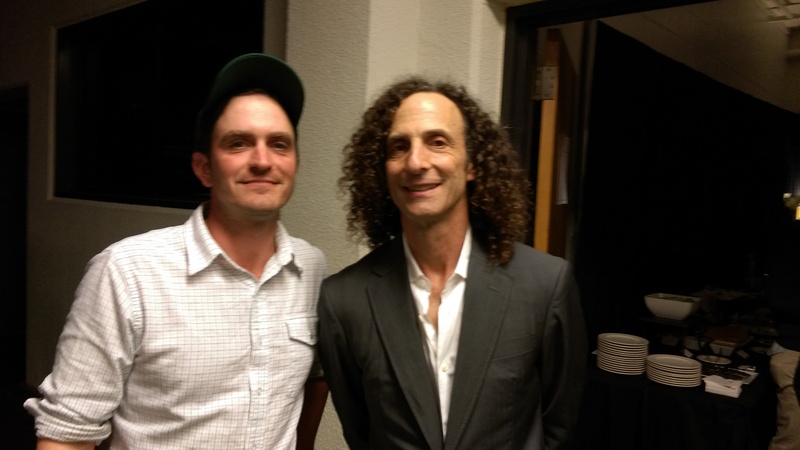 I was hitting balls on the same range as guys from Snedeker to Kenny G, who happens to be a 2 handicap. That is putting instructor Kevin syncing my SeeMore putter with the machine. What he found was that I have extremely accurate and consistent aim as well as stroke, but my tendency is to cut across the ball from out to in which isn’t optimal as it can put a bit of side spin on the putts. He gave me a few drills to work on to get the ball rolling more end-over-end and then it was off to the second lesson. Since then I have been working on my putting stroke and have seen some good results. He also suggested I look into a more face weighted putter as mine may actually accentuate my own putting flaws. Something to keep in mind down the road. 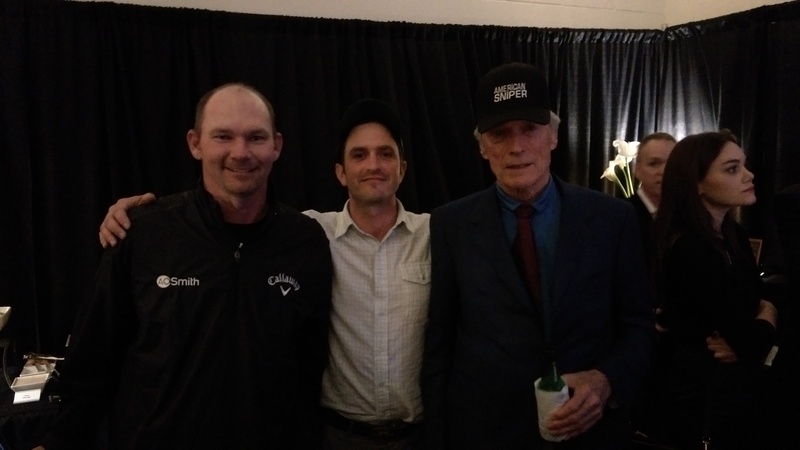 The coach’s name was Dan and we talked about some issues I was having with my ball striking and he had some good tips to share after seeing me hit the ball. The one that stands out most is that he said my lower body was overactive and I needed to focus more on hitting the ball with my shoulder turn. Good stuff. 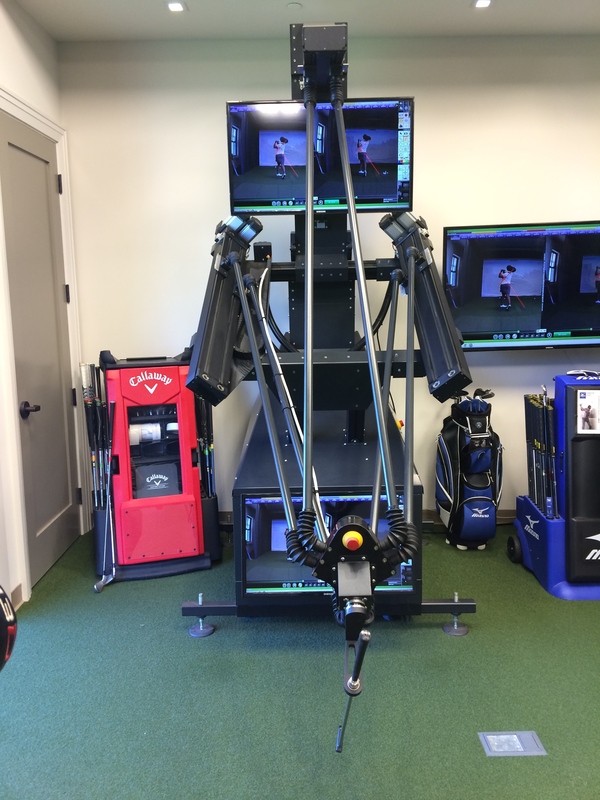 It’s a robot that you can program to swing any type of swing at any speed and then you hold on to the club and it moves you through the motions that you are trying to learn. I found it interesting as instructors have told me to “feel” certain things in the past and have even been hands on trying to place my swing in specific positions, but with this robot you can actually feel exactly where an instructor wants you to be through an entire swing. You let it guide you for a handful of swings and then turn around and hit a couple of balls and you can immediately feel the difference. I hear there is one up in Seattle, might have to make some trips up there in the coming months to get more reps in. 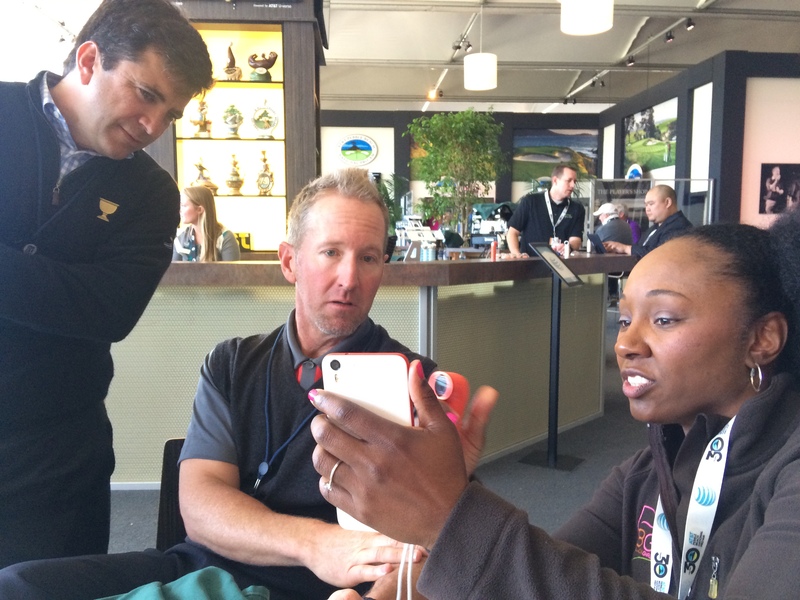 The final lesson was with Laird Small, who has been the director of the Pebble Beach Golf Academy since 1996. Laird’s strength, outside of massive experience in the golfing world, is his ability to communicate what needs to be said. 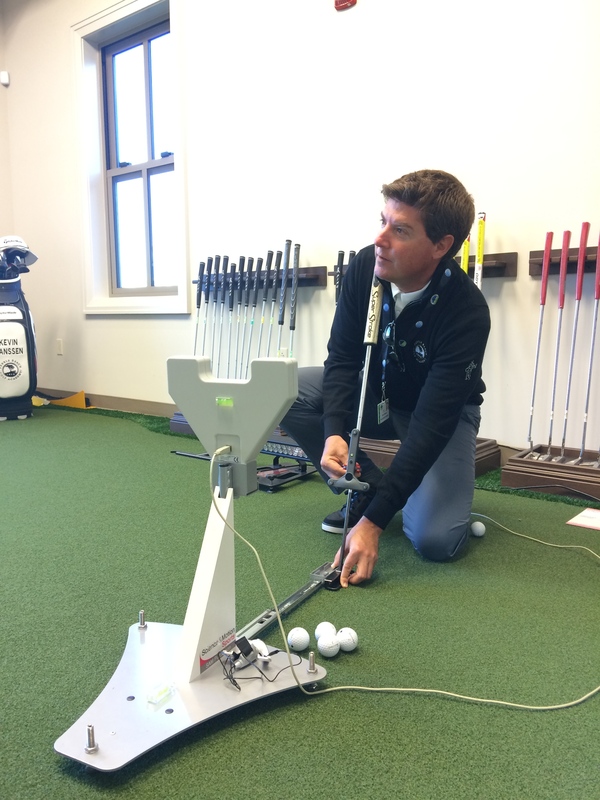 There are a number of people who are extremely intelligent when it comes to golf biomechanics, but far fewer who can reach people in a way that makes sense. This was the case with Laird and what he told me (we talked about my turn, chess positions, arms, etc) made sense to me and I have been able to implement some of it already. He’s the kind of guy you want to see weekly and if he was in Portland I would most definitely do that. That was a great start to the day. I wish the lessons could have been all day, but with such a busy week there was a lot of work for the guys to do. 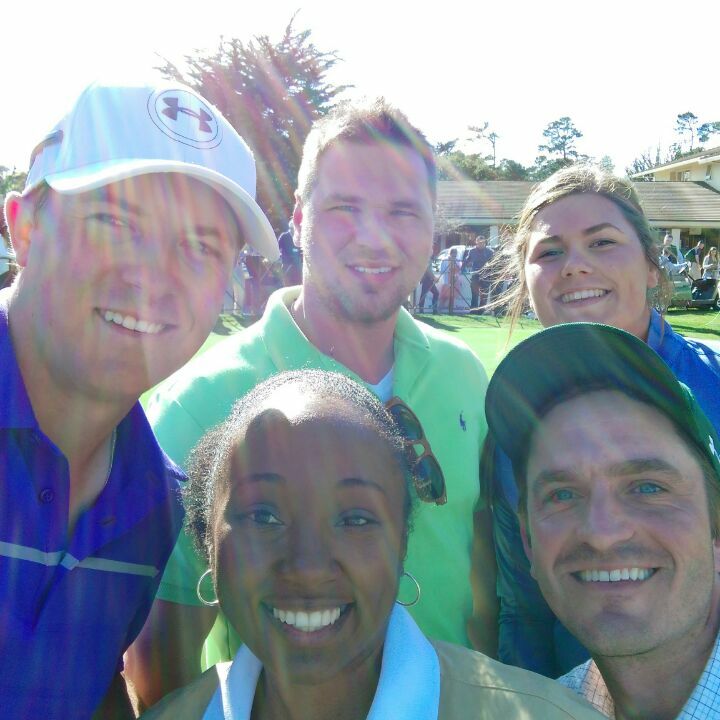 We spent a little time on the range watching some Tour players hit balls and then hit the road. He was a upstanding gentleman and we all had a nice lunch chatting golf and life. It was a treat like no other. 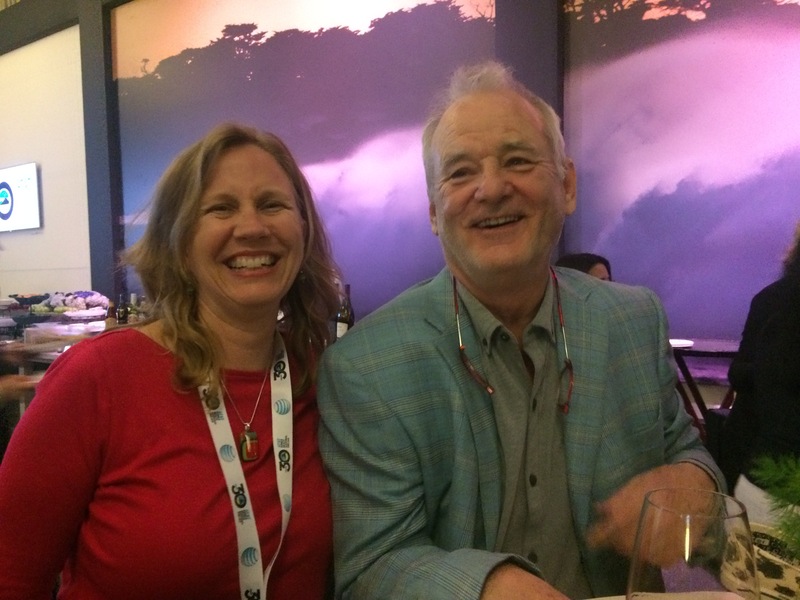 Bill Murray just happened to join our table and hung out with us for the better part of two hours. That is him and one of our hosts for the week Jena. Bill was incredibly kind and, of course, funny. He talked golf, wine, life, charity work, art, etc. I could not have been happier as he is perhaps the only celebrity alive that I really wanted to meet. Honestly, I could have left that night and felt like it was an incredible trip. Played an amazing course, had lessons with four incredible people, got lunch with David Duvall and then spent an eve with Bill Murray. Life was feeling good and it was literally just the third day of the trip. See, it’s hard not to sound like I’m bragging, but at the same time I can’t imagine not writing about this experience. I won some sort of fantasy lottery. Neal showed us around the course and described some of the more interesting ways in which things have changed over the years as well as the history of the property, which was originally purchased for $500 a couple hundred years ago. We also got to stop by and see Bing Crosby’s house, which has an amazing putting and chipping green in the back yard and overlooks some of the better holes of the course. It was great to get his insight into the course. We were all pretty blown away by everything that had happened so far. It was incredible and seemed to just keep coming. So, by the time dinner rolled around and we were away from the course we all assumed that the day was over. But, there was one more surprise that nobody saw coming. As part of the kickoff event a bunch of the celebrities were putting on a show down the street. 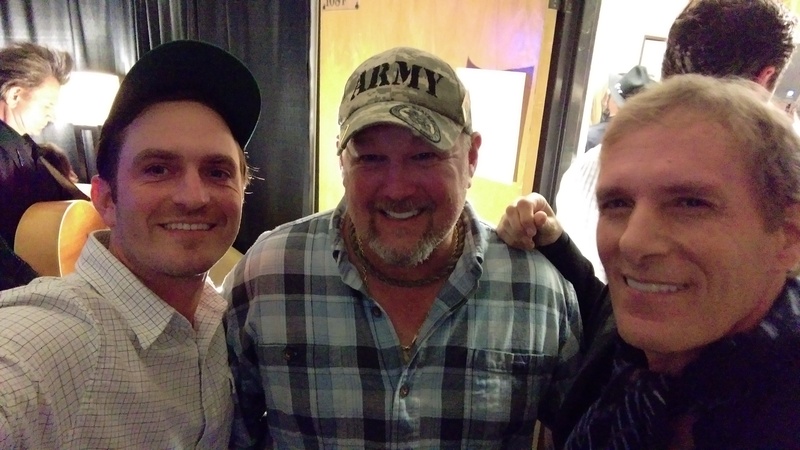 AT&T invited us to not only watch the show but we also were able to go backstage and shake hands with a bunch of them including Larry the Cable Guy, Colt Ford, Jake Owen, Michael Bolton, Kenny G, Clint Eastwood, Ray Romano, Tommy Gainey and a more that I can’t seem to recall right now. It was great. After our 15 minutes backstage, the group was leaving but I kind of “lingered” and got lost and then ended up getting to spend the next couple of hours back there. It helped that I was a photographer in my past life as there were a number of active-duty marines who got the same meet-and-greet treatment that we did who also wanted photos with the big names and I wasn’t afraid to go up to people like Clint and ask if he would take a photo with those soldiers. I’m not sure I even scratched the surface of what it was like. I can’t imagine two more amazing days than these. And, the tournament hadn’t even started yet. 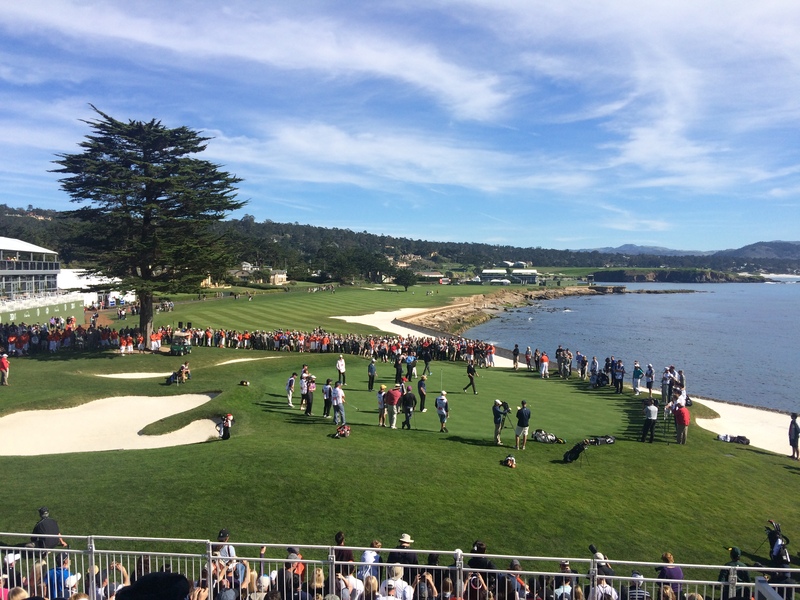 On the final installment of this series I will talk about the tournament itself as well as what it was like to play Pebble beach from the same boxes as the pros and to the exact same pin placements. That is coming in a couple short days. 8 Responses to "The most amazing week, part 2"
We would like to invite you to our National Breast Cancer Foundation promotional campaign. We would like for you to be a “smilee” who receives our complimentary stressball and posts their selfie on our Instagram page. Proceeds go towards the National Breast Cancer Foundation. To all the followers of The Dan Plan. Spread some cheer and make someone smile today. Visit our website http://www.sendastressball.com and “smile” someone. Ask them to post their beautiful picture to our Instagram page #SendAStressBall. The fun begins March 2015. Wow! What a great read. Keep it coming Dan. Looking forward to your final installment. The robot sounds facinating and the fact there’s one just down the road from you is awesome. Guessing using it could save a whole heap of ‘trial and error’ in getting your swing exactly where you want it. Best of luck with it. All of the nice photos, and photos of gadgets above got me imagining while reading the above, and eating breakfast of imagining attaching a digital camera at the end of the club shaft replacing the clubhead, or drilling a tiny hole in the middle of the sweet spot of an old driver clubface to install a small digital camera inside the driver clubhead. This would get a clubface-view of swinging down into the back of the ball. The camera preferably will be capable of high frame rates. It is probably until the release phase of the downswing before the ball comes into the view of the camera. Initially, the ball will appear at the edge of the frame. As the clubface/camera swing closer to the ball, the image of the ball will shift to the center of the frame. If the clubface is opened or closed as it comes into the ball, the image of the center line on the ball will be shifted slightly left or right from the center of the camera frame. The assumes that the camera embedded in the clubhead can take the impact force. Some 3D graphics software can be set up to simulate what the camera sees depending the type of downswing, for example, of using Hogan’s bowing of the leading wrist versus a flat wrist. Really neat dan. These are the memories that you will cherish for a life time….kinda like buying me a beer at Riverside!! Glad that you were invited to this event. My wife and I were volunteers at the 2010 US OPEN. Just walking the course was such a trip. Hah, Mr. CHEN, thanks for blessing us with yet another lesson, i would love to spin a few laps with you on a course somewhere!!!! Dan, ” cool story, bro!” Pffft, no, that truly sounds amazing. Oh and last yr bro-am they mentioned on the teevee that Kenny G had been a zero handicap at one point. 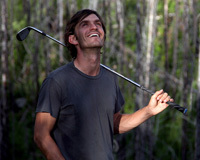 At any rate hes a kickass golfer and just having fun. What a fabulous experience – and very well recounted as always. Thanks Dan.